NORCAL YAK: Kayaker marina tour: What's in a name? 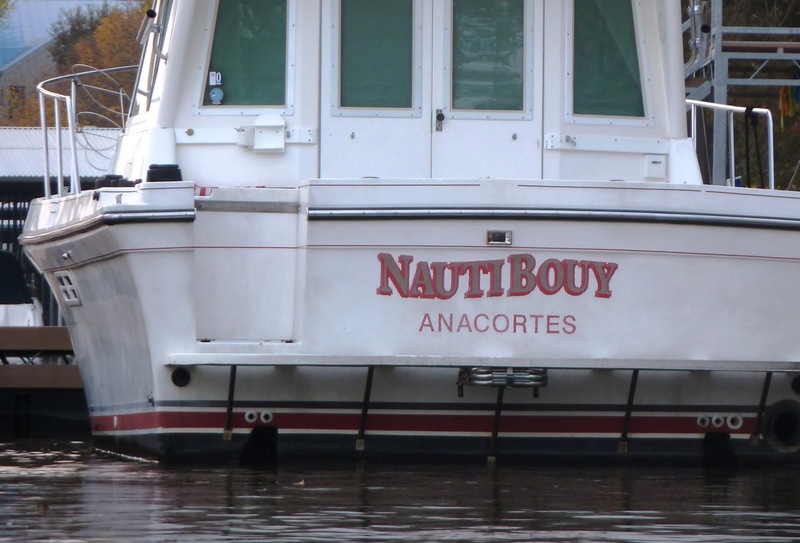 Kayaker marina tour: What's in a name? 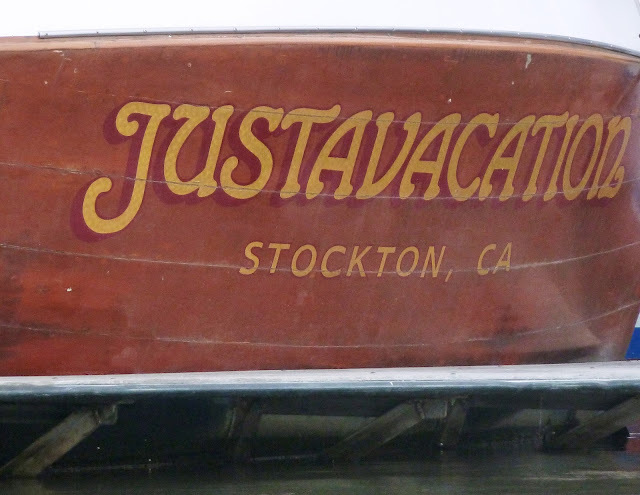 Here’s an off-beat destination for off-season paddling – your local marina. 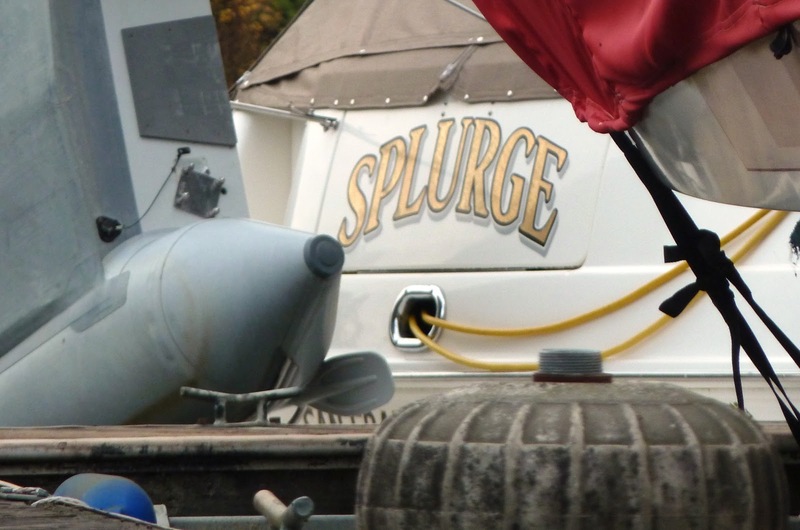 Many kayakers don’t have much interest in power boating, but it’s always fun to see what floats other people’s boats. 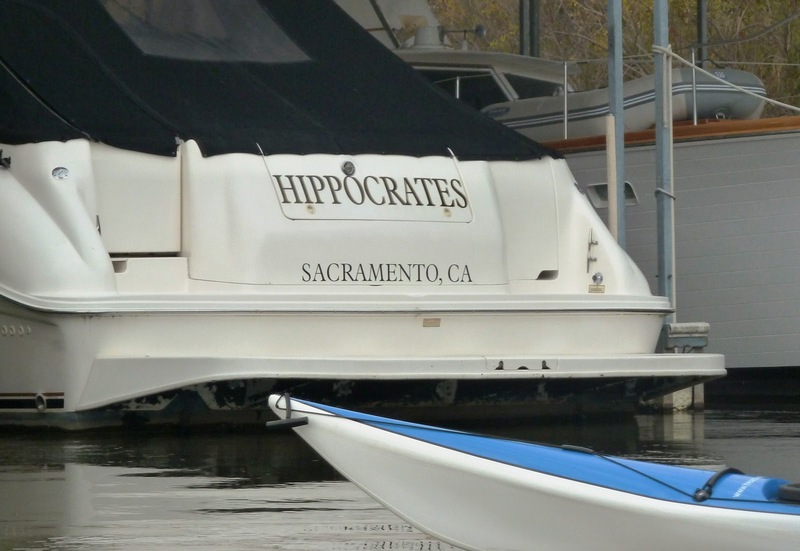 Some of us name our kayaks, but you rarely see them on a hull. 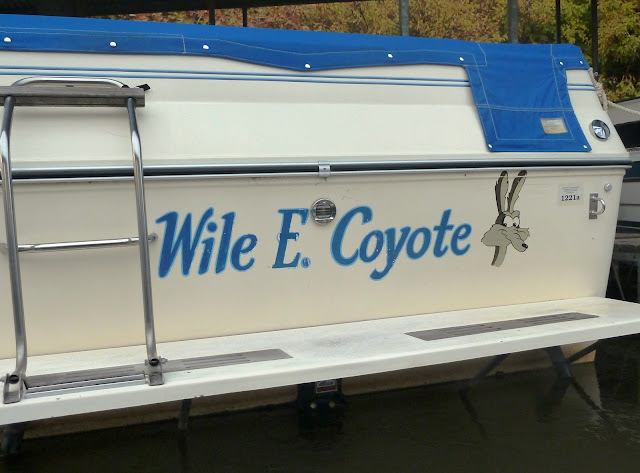 It’s a strong tradition for larger craft. 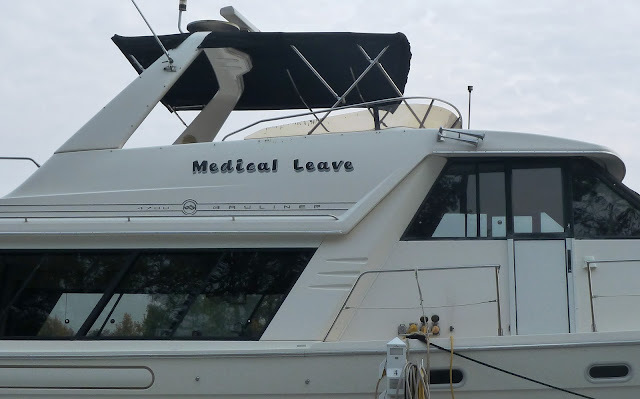 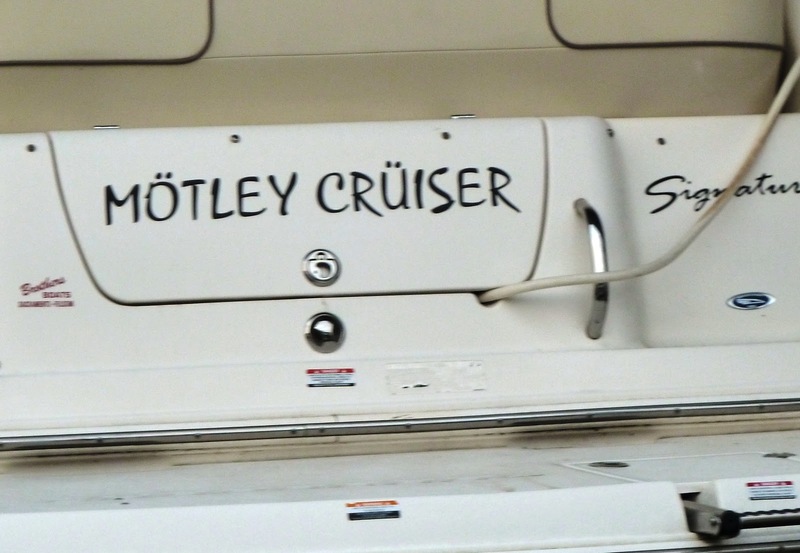 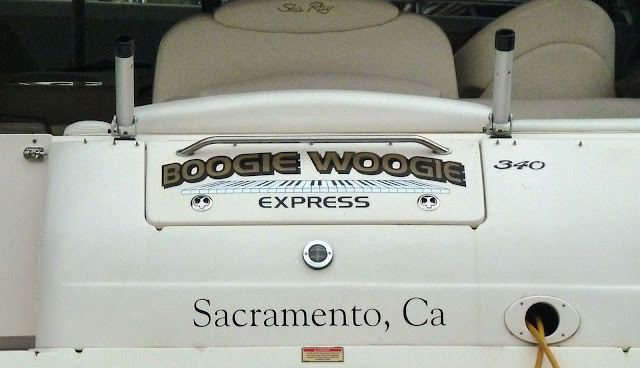 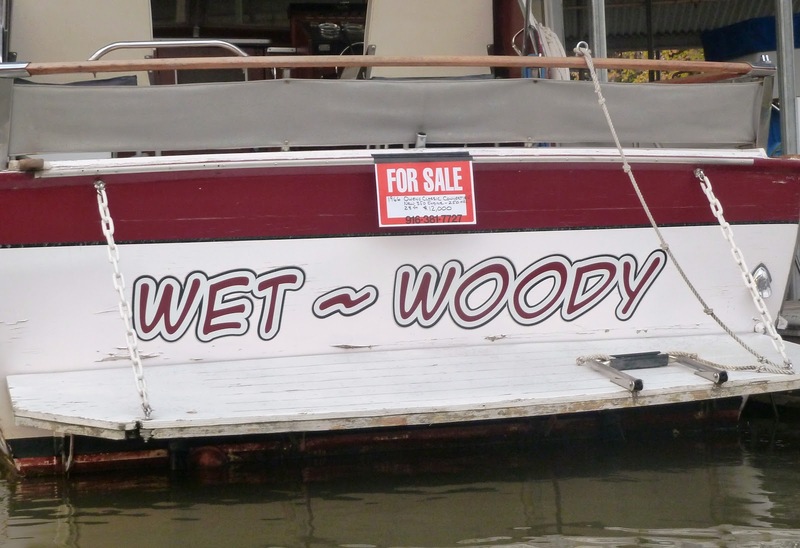 While a boat’s name is on the stern side, it’s often anything but serious. 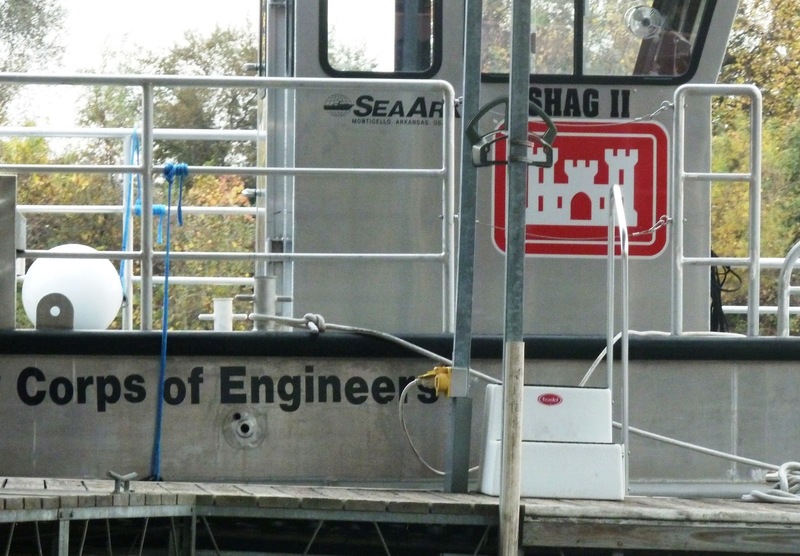 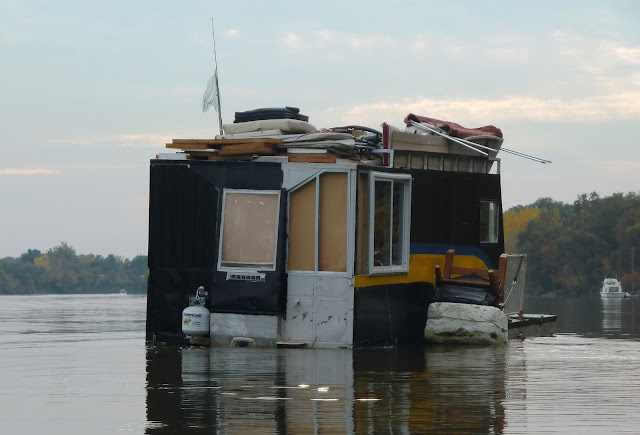 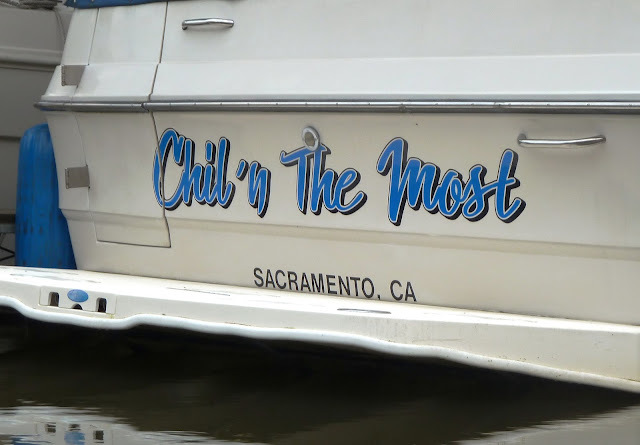 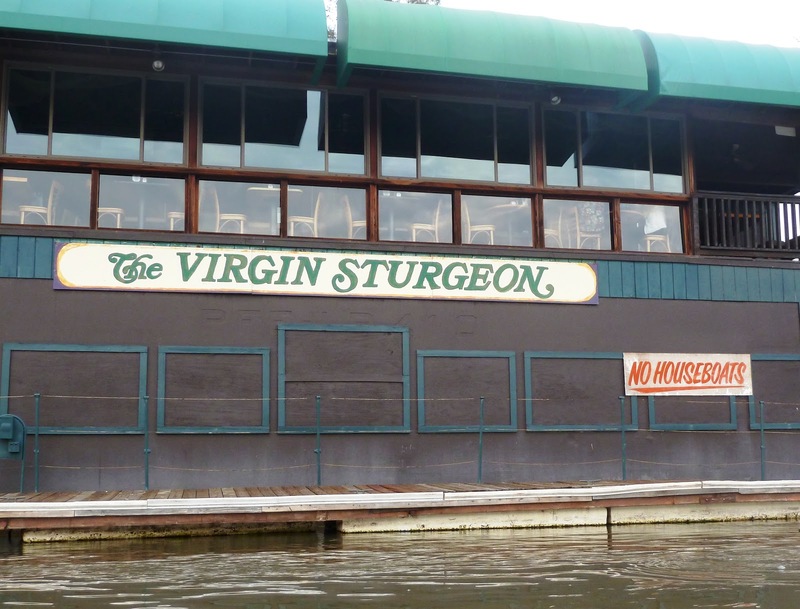 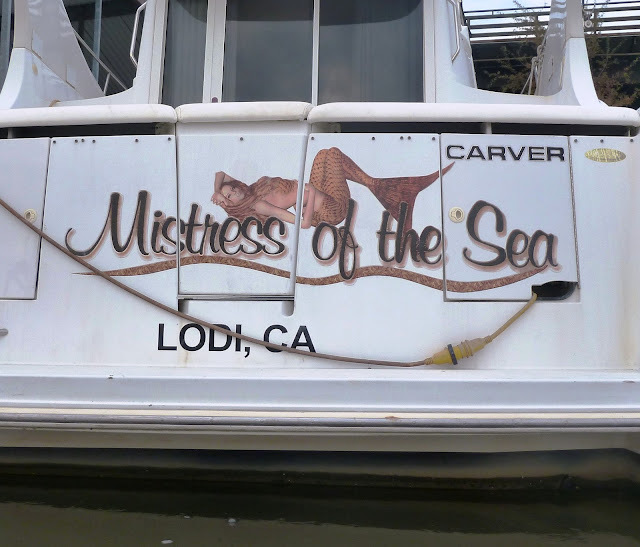 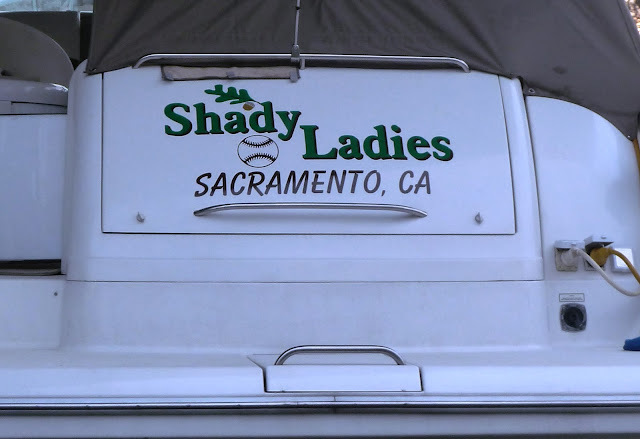 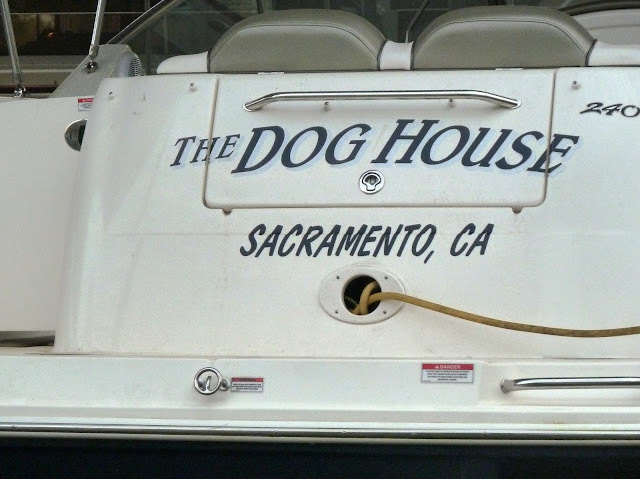 A recent tour of Sacramento marina slips (Freudian and otherwise) produced some entertaining photos…. 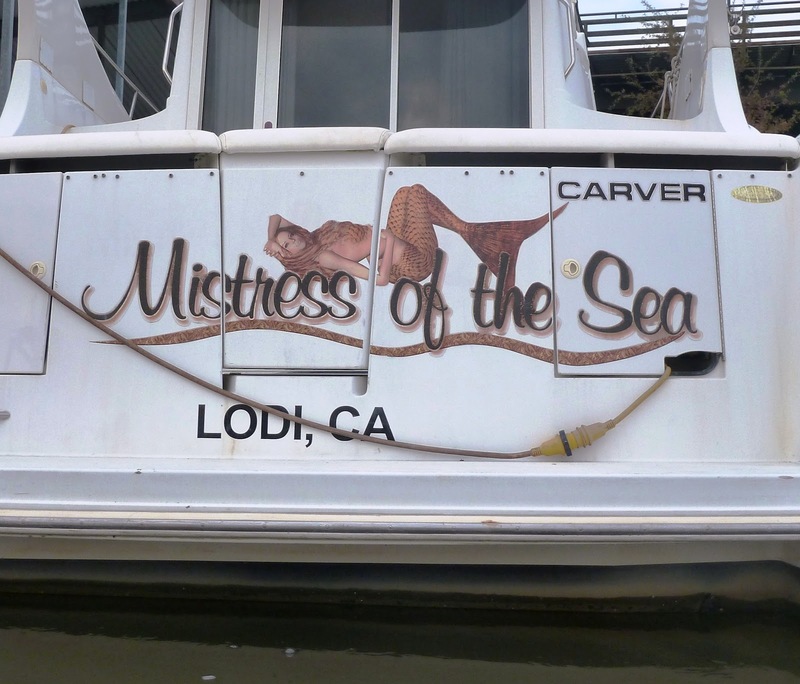 No name visible, but perhaps "Under repair, above water"